Your lanyard is provided for your safety in the event your SternMate™ and transducer become dislodged, potentially by a hard strike of an underwater hazzard. Use the P-clamps for your X'ducer cable as they also are provided by your x'ducer mfgr., not only to tidy up your X'ducer cable, but for your safety. Think of your lanyard as you might the kill switch lanyard in your boat or safety chain on your boat trailer... or wife's fine watch. There are many ways to install your safety lanyard. 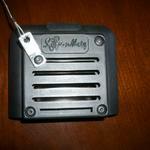 The lanyard tab may be mounted as shown or under a transducer bracket mounting screw, if available. You may find a more suitable attachment for your particular installation (see various website photos). 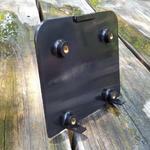 The Mounting Plate is engineered with 4 molded-in #10-32 screw inserts. 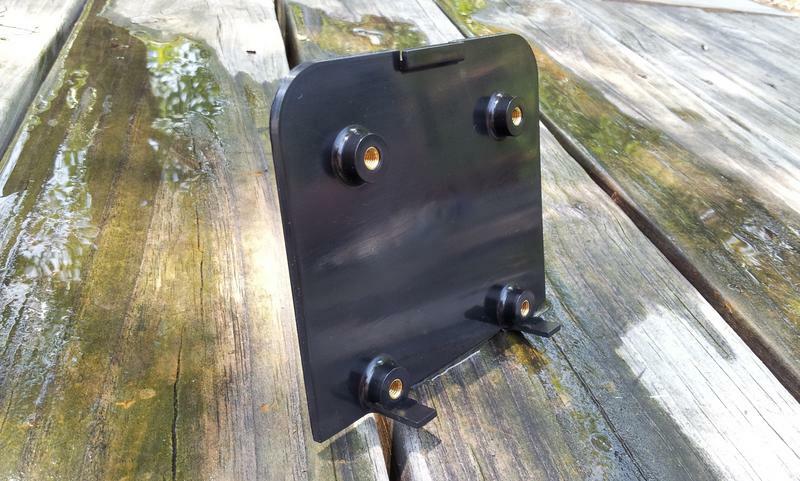 Prior to adhering, the fixturing tab at the top of the Mounting Plate will assist with temporary mounting of the Housing onto the Mounting Plate. Use this while test fitting your transducer. 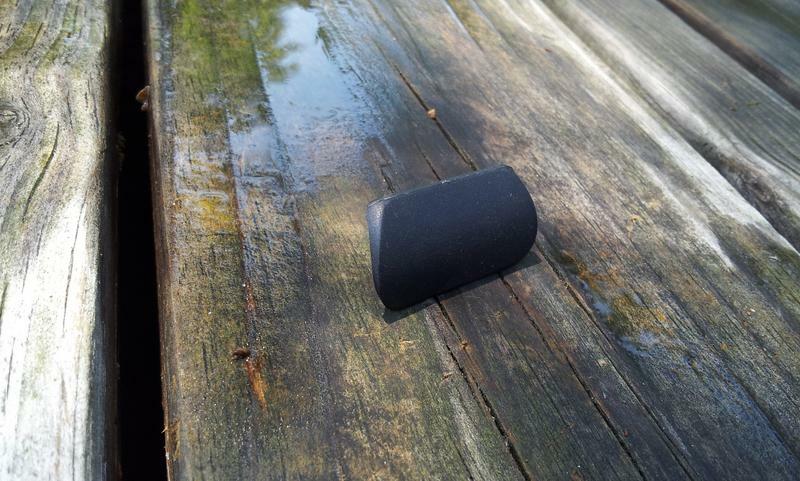 The tab will also be utilized after the Mounting Plate has been adhered to your boat for subsequent adjustments and service of your transducer. For the best transducer mounting location "FOLLOW THE RULES". The Mounting Plate thermoplastic is unique and compounded specifically for us to provide the correct crosslink with our OEM adhesives. By doing just that, we know there is no better way to bond SternMate™ to your boat. We've taken the effort to do it right, to ensure that you will also! Oh, it's easily removable without any damage whatsover. ASK US~! The Housing is designed with 4 horizontal slots upon which any combination may be used to mount your transducer bracket or other equipment. 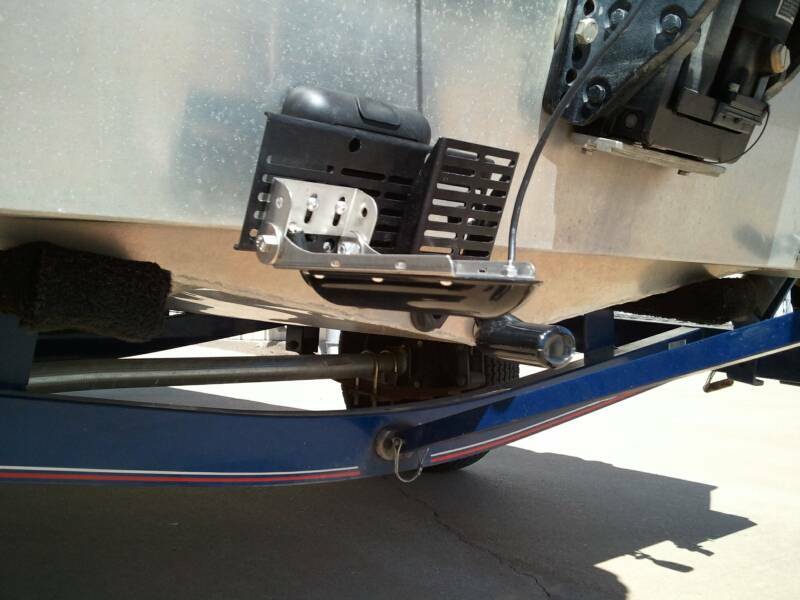 The Housing may be used solo (on boats with speeds that do not exceed 30 mph) and is fastened to the Mounting Plate with the provided ¾”x10x32. It may also be used in combination with the Set-back Plate fastened through the Housing to the Mounting Plate with the provided 1½”x10x32 screws. The 7/8”x10x32 screws and #10 nuts and Nut Holders will mount most transducer brackets to the Housing. DO NOT USE POWER TOOLS TO TIGHTEN SCREWS. NEVER SUBSTITUTE ANY OTHER LENGTH OF SCREW OR THREAD PATTERN TO FASTEN HOUSING OR SET-BACK PLATE TO THE MOUNTING PLATE. DO NOT OVER-TIGHTEN. 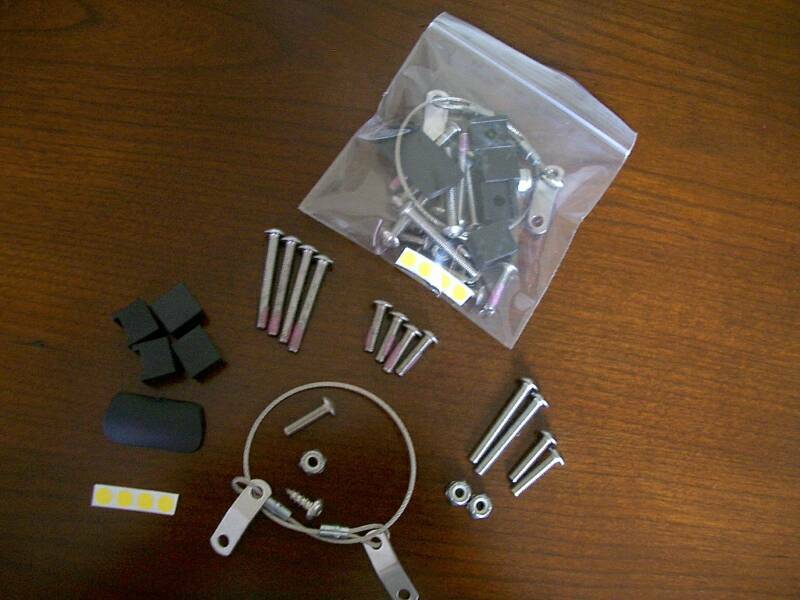 PAY PARTICULAR ATTENTION TO THE SCREW SIZES FURNISHED, LENGTHS AND THEIR INTENDED USES. The Set-back Plate™ is designed to fit into the Housing face recess and screw boss countersinks and mounted through to the Mounting Plate using the provided 1 ½”x10x32 screws. The Set-back Plate incorporates 5 horizontal slots, 4 of which are through-slots to the Housing. 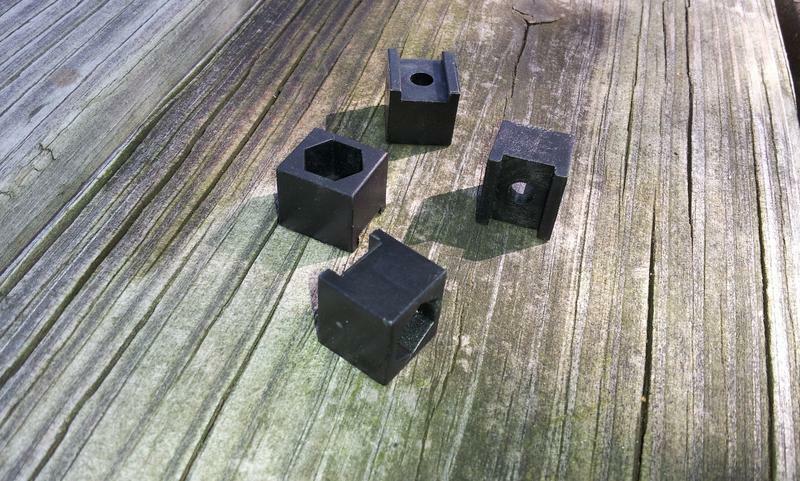 Any 5 of these slots may be used to mount most any transducer bracket utilizing the provided 1 ½”x10x32 screws, the #10 nuts and Nut Holders fastened thru to the back side of the Housing. All slots, except for the 4th slot, are designed to hold a #10 nut only. 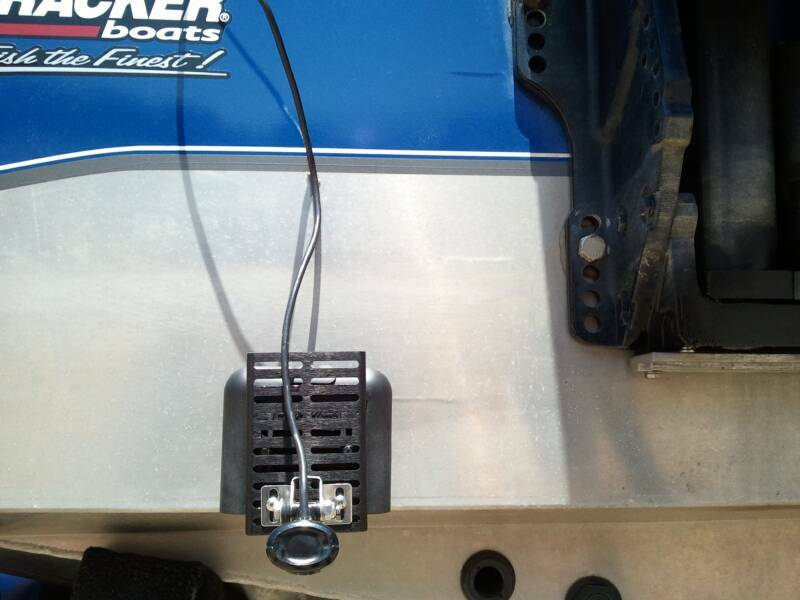 Should you find it necessary to use the bottom slot to mount your transducer, (machine screw/nut are not furnished) most likely it will be for a steep deadrise hull application when the transducer must be rotated to adjust parallel to the water. Use one screw in the bottom slot and fasten in 2 other places through the Housing for a secure "3-point" mount. 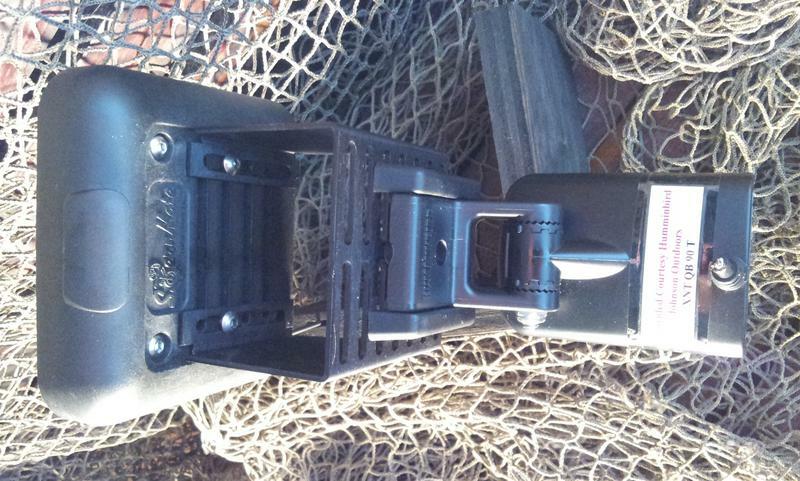 In any case, secure your transducer in at least 2 (at least one machine screw on each side of your transducer bracket) places through the housing whether using the bottom Set-back Plate slot or not. 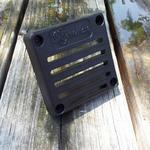 The Trim Snap may be snapped in place in the rectangular slot on the top side of the Housing and is purely decorative. 4 #10 Nut Holders are provided and are used on the inside of the Housing by placing the ears in any track or combination of tracks. 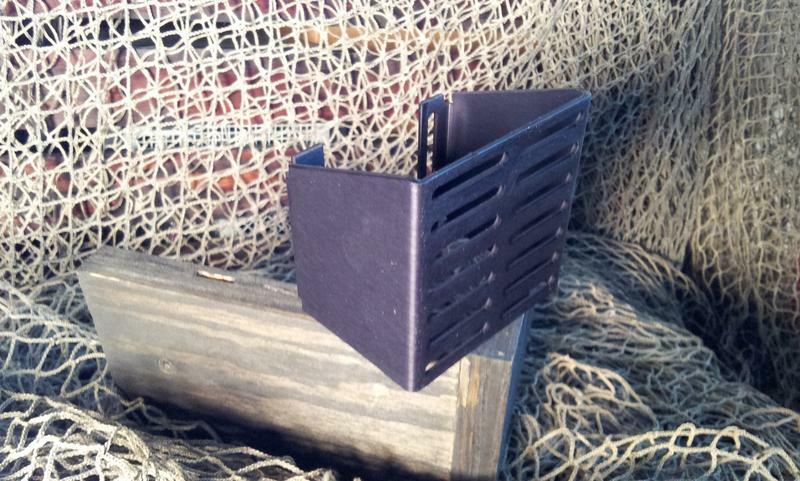 The Nut Holder will seat flat and will grip for a secure hold. Place #10 nuts provided bottom first in the Nut Holders and assure that, when screw is tightened, threads extend beyond the nylon insert. Spares are included. 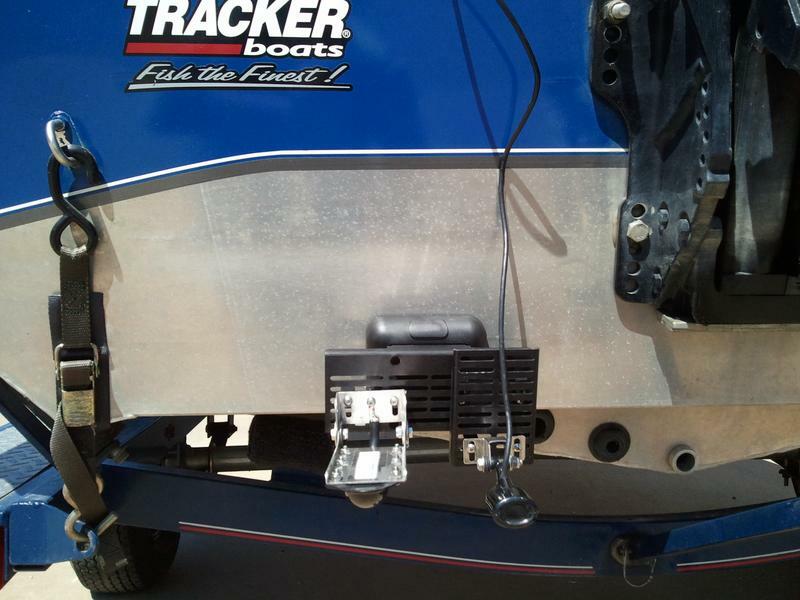 The Set-back Plate™ will be very useful in instances when the user’s hull may have a steep deadrise (deep V), including those which manufacturers of transducers do not recommend external transducer installation, simply because they will not properly reach the water. 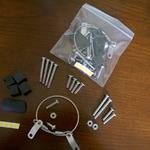 Some transducer brackets may be very short and restrict transducer reach for proper adjustment. The average transom “cant” rearward is approximately 14 deg. 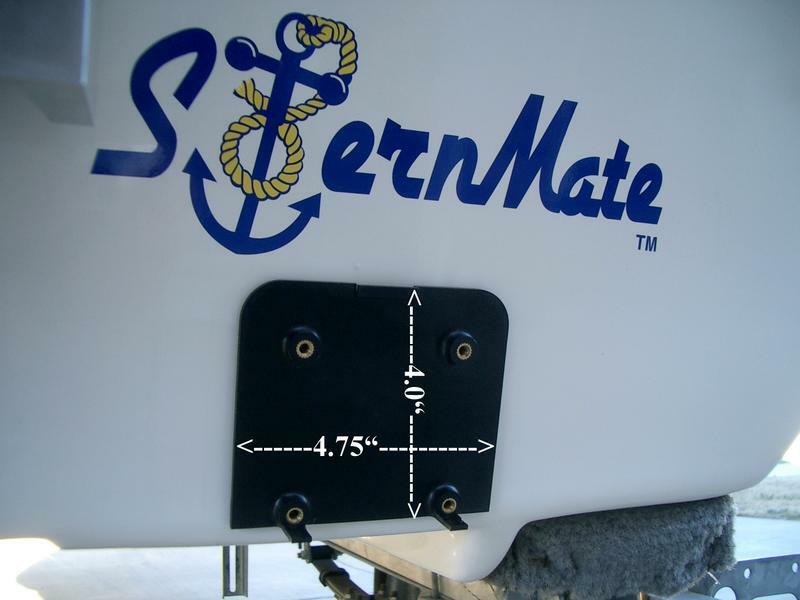 By installing SternMate, and more importantly, the installation of the “Set-back Plate(s)” to the Housing, the position of the transducer is “moved rearward and downward” now making difficult mounting and positioning of transom-transducers on many of these (deep V) hulls possible. 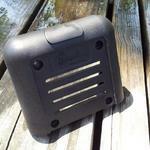 An additional Set-back Plate may be stacked and is available as an option for greater aftward and/or downward reach. 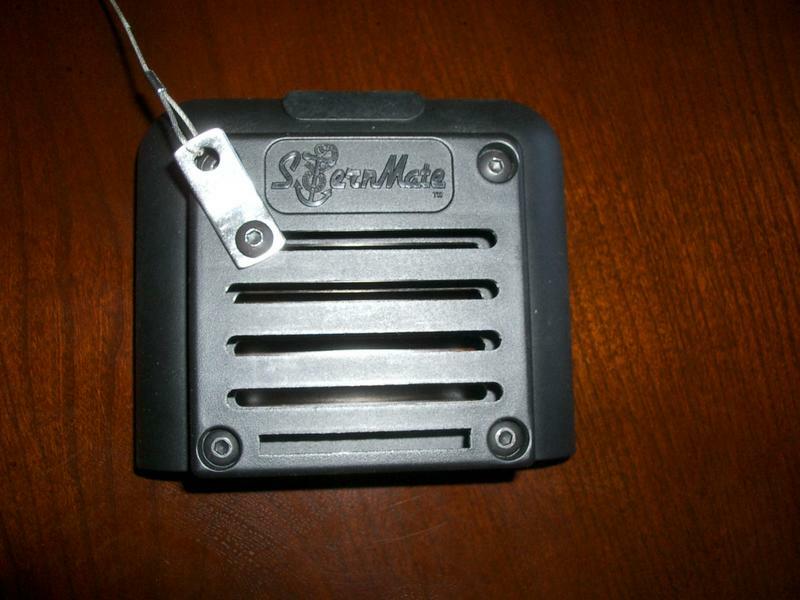 SternMate™ and the use of its Set-Back Plate (or an added 2nd optional Set-Back Plate), effectively moves the transducer properly aftward from the “trough” easily adjusted vertically into the rising displaced slipstream of water naturally created behind a fast moving boat. Elevating the transducer into the aftward rising slipstream employs a helpful unique corrective advantage toward optimizing your high speed sounding. By moving the transducer aftward and by raising it (oftentimes above the running surface of the hull) unnecessary drag, transducer chaos, turbulence, and that obnoxious rooster-tail found in old-style traditionally-taught transducer mounting instructions can be eliminated. 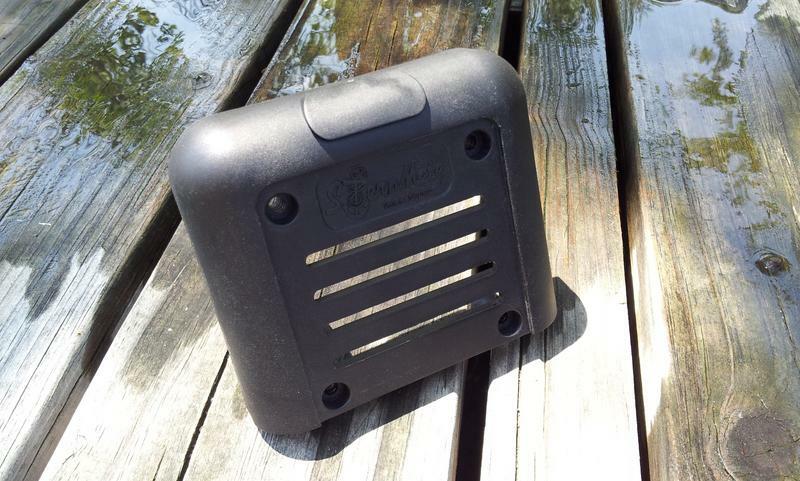 Note: for the most effective use of SternMate ™, particularly on boats which travel at speeds of 30+ mph, we always recommend using the included Set-Back Plate for best optimization. 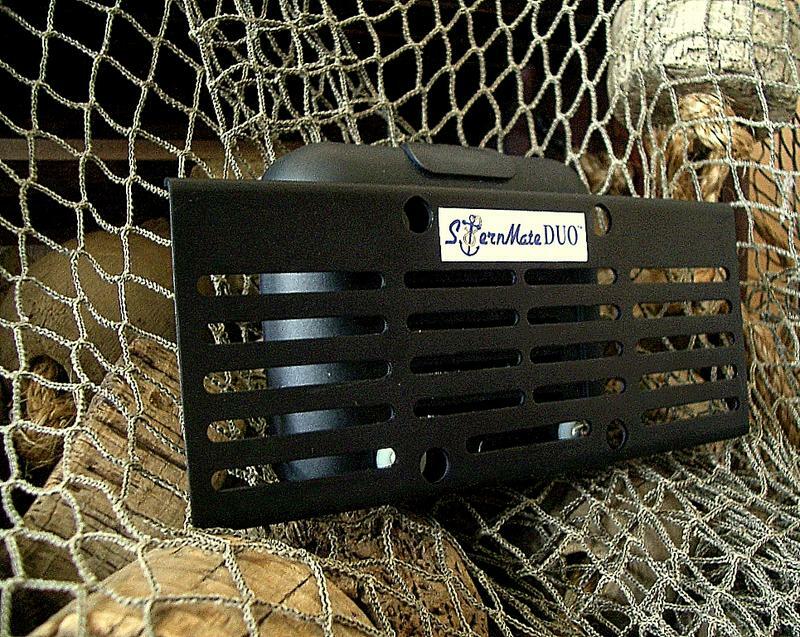 Overalll slot length - 2.50"
Easily reach the water with a high speed or imaging transducer on your difficult-to-impossible "stepped transom" (set-back transom) boat hulls. 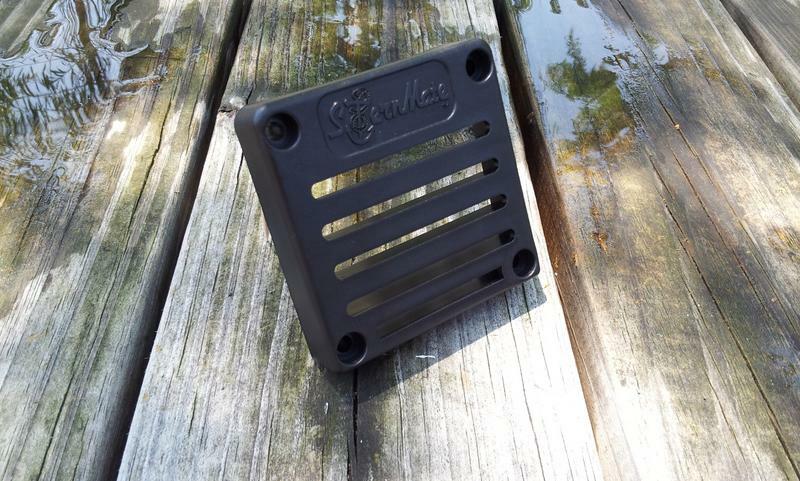 Can be used with or without other SternMate™ optional accessory brackets. When you have a need to place your high speed transducer way back there in the best elevating water behind your fast boat, the OUT-RIG'R is just the ticket. now neatly install your family of transducers making installation simple and effective. The "DUO" can easily be configured to suit your unique transducer mounting scheme by incorporating with optional brackets. 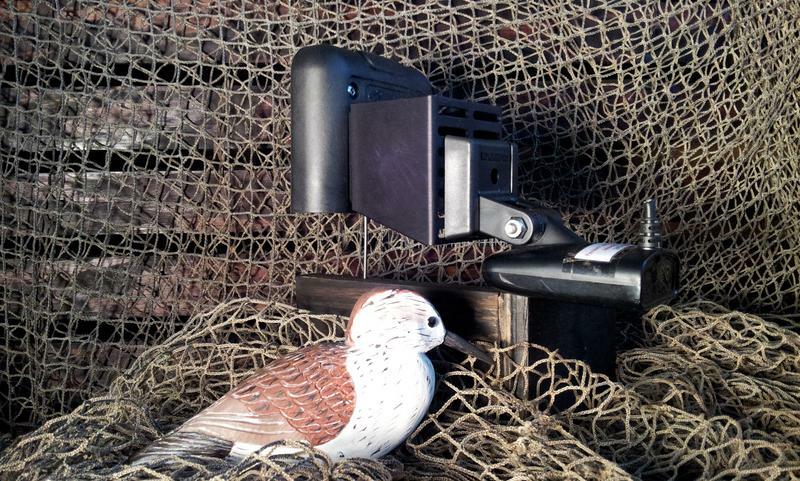 "DUO" is designed for (setback) high speed optimization and for your imaging transducer. 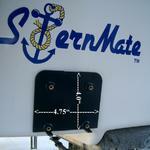 The "DUO" width is 8"and installs directly to your SternMate™, its Setback Plate or other SternMate™ accessories. The SternMate™ System is virtually limitless by configuring it to meet most any transducer installation scheme on most any boat hull. 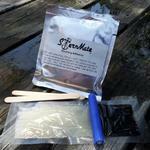 that our adhesives consistently exceeds demand...and they are easy to use too. The tenacity and performance of SternMate™ adhesives pales in comparison with "off-the-shelf" homeowner” type glues, adhesives and epoxies you would find at the retail do-it-yourself stores where suitability for a particular job is left to captions on the package and "hear-say". SternMate™ adhesives are also well suited for bonding our equipment under water. Our “high speed” marine adhesives distribute stress evenly over the entire joined area rather than concentrating the stress at mechanical fastener (screws) points. 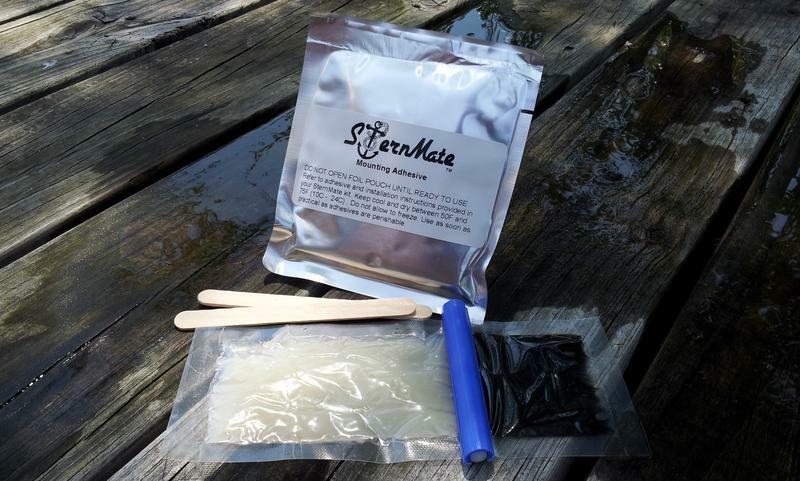 SternMate may be easily removed with heat and without any hull damage whatsoever. Ask us! 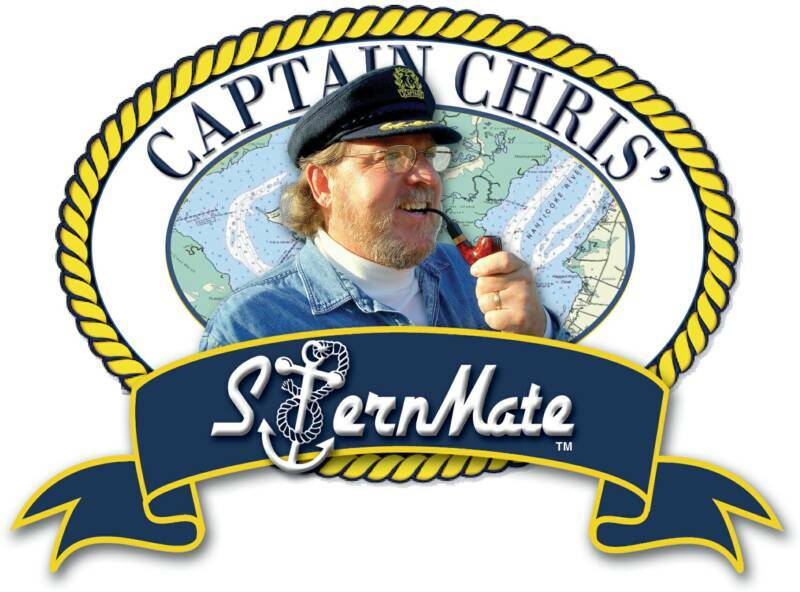 Disclaimer: The aformentioned marine electronics manufacturers do not endorse SternMate products.